Celebration makes the world go round. The people of this village on the island of Tanna, Vanuatu have been preparing for this day for months, even years. Collecting fruit and coconuts, harvesting root vegetables, buying fabric and rice, crushing and roasting taro, plucking chickens, fattening a cow and catching these giant fish on a small ocean canoe. But its worth it. For friends and relatives have traveled over land and sea for the celebration. 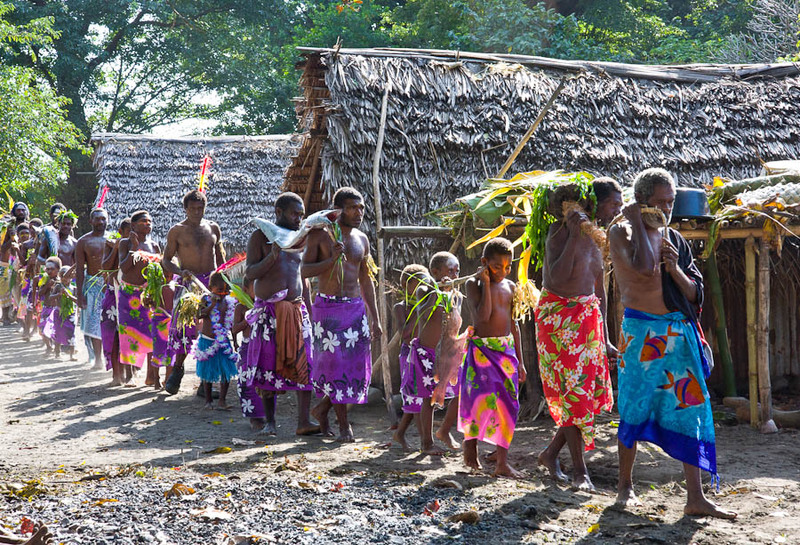 You may think that 10 years is a long time to spend translating the Bible with a people group like this one on Tanna. But all that work is just preparation for a huge eternal celebration. And its worth it. WGA can contact me for a high-res version of this image.